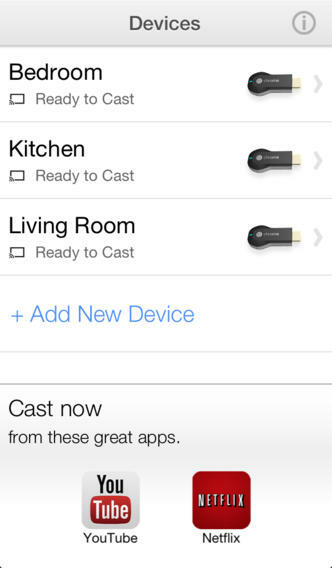 Google released an official Chromecast app for iOS devices today, making it easier for users to set up the new $35 TV dongle, switch between multiple Chromecasts and change common network settings. For users that own multiple Chromecasts and have them set up on the same Wi-Fi network, the app is also useful for managing which devices stream to which dongle. An area at the bottom of the screen also displays a list of supported Chromecast apps – which for now only features Netflix and YouTube.